You may be thinking ‘oh god she just loves everything!’, well i do not but……. just because a product is not for me i don’t believe in slating it, i buy my own products and simply choose not to blog about them if i do not like them! Anyway i just love this ‘Glow Box’ because it does just that for me! 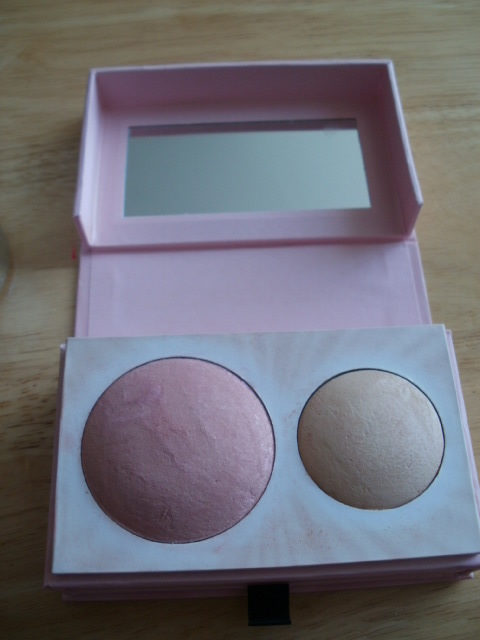 Being very fair i do not suit a heavy use of blusher or something very bright, especially for everyday use and i buy so many trying to find one i will be happy with and will use continually .. The Laura Geller Glow Box is just perfect for my fair skin (more like this please Laura x) you have tapped into our pale English Rose complections perfectly with this! The blush has a very subtle amount of shimmer to give it warmth on my skin, the pigments are pinky/peachy and it gives me a really healthy look .. too much blush on me and i look like i have been out working in the fields all day lol .. big red cheeks haha! 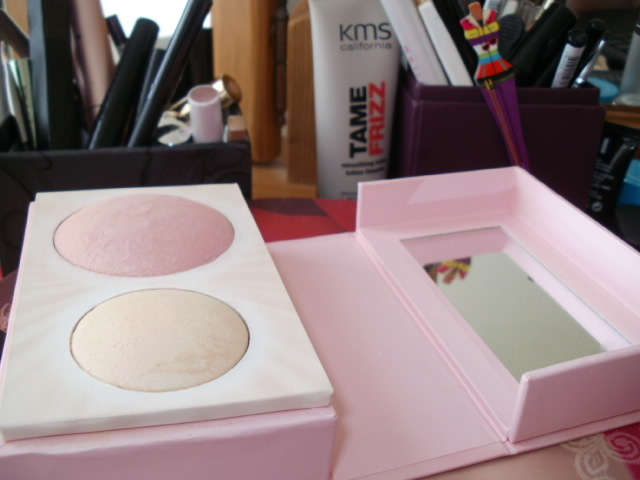 It’s totally buildable up to a full blush look and beautifully offset with the vanilla/satin highlighter. It comes with its own little brush that makes application faultless and it looks flawless on my paler complexion i am so pleased with it.I pick this up every day now when i put makeup on. I really hope Laura Geller does more products like this for fairer skinned ladies because i know there is a lot of them in the UK in need of many more products just like this! It used to be available on QVC but i cannot find it for sale anywhere now ..
Are you pale skinned too? What blushers do you use? Do you find a lot way too dark or bright for your complexion? This entry was posted in Health and Beauty and tagged Ali Young, Blusher, English ROse, Ethereal Rose, Fair Skins, Glow Box, Healthy glow, Laura Geller, QVC, Vanilla Highlighter on October 24, 2014 by the40somethingbeautyblogger. The brush that comes with it looks really nice! 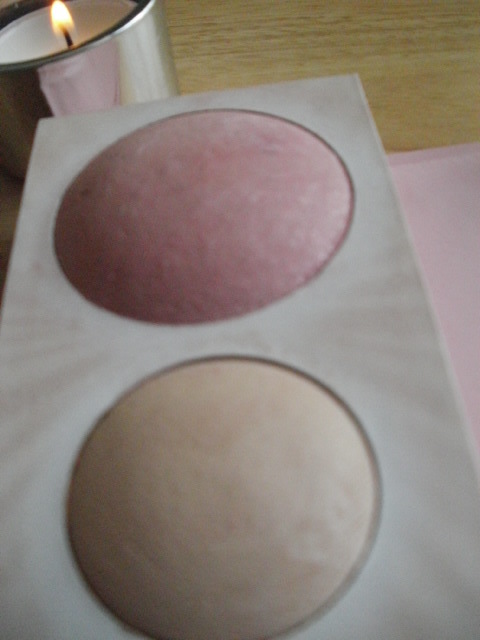 I must admit I onl,y buy cheap blushers…. My skin tone is light, and it is not easy to find a right foundation that would suit my colour, they are usually darker. 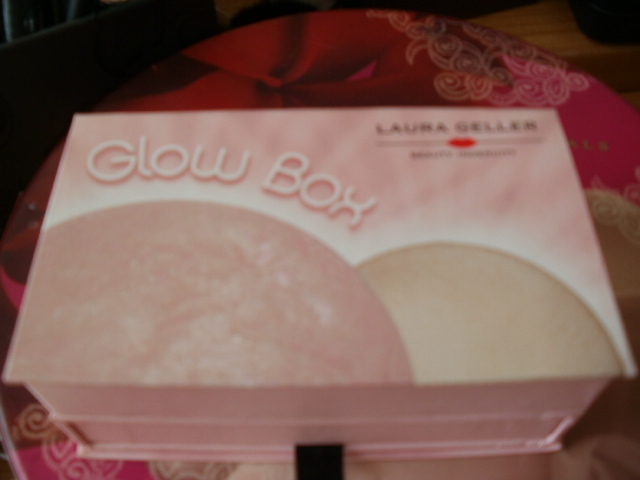 Glow box looks like a lovely product for paler ladies.